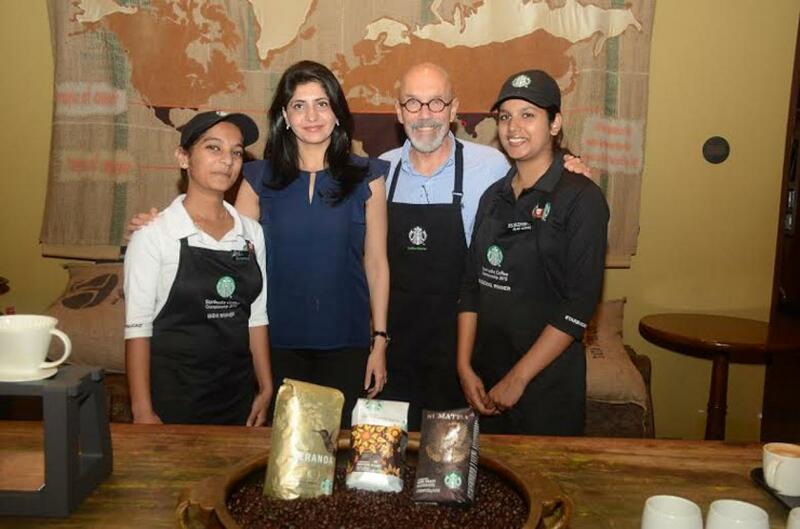 Tata Starbucks Private Ltd. today hosted an interactive, coffee-inspired afternoon with Coffee Ambassador of Starbucks D.Major Cohen at their flagship store, at Horniman Circle, Fort in Mumbai. The engaging session was curated over the aroma of some freshly brewed coffee and also saw the launch of the newest addition to the espresso portfolio of Starbucks India - the Flat White. The Coffee Theatre was an interesting session which unraveled the various secrets behind a perfect cup of coffee. From brewing methods to coffee tastings, coffee enthusiasts were taken on a journey to experience various international coffee flavors. The highlight of the afternoon was introduction of the globally celebrated Starbucks Flat White by Major Cohen, an artistic espresso beverage made with two bold ristretto shots, combined with a thin layer of velvety micro-foam and finished with a latte art dot. “It is my pleasure to be back in India to share my passion for coffee with all the coffee lovers. During my last trip to India to celebrate Tata Starbucks’ 1st anniversary, I had the privilege of launching the exquisite India Estates Blend, a winning concoction of the finest Arabica beans carefully selected from Tata Coffee’s estates spread across Coorg and Chickmagalur. This time around as Tata Starbucks approaches its 3rd Anniversary, I am extremely thrilled to introduce the celebrated Flat White beverage in the country” said Major Cohen.